Clean your home quickly and easily with the Dyson BALLANIMAL2+. This upright bagless cleaner even comes with an additional Reach Under Tool, which is exclusive to Euronics and Agent stores – so you won’t find this amazing vacuum cleaner at any other retailer. Dyson has created the BALLANIMAL2+with you in mind. Specially designed to deep clean and remove pet hairs, you’ll be amazed at how tidy it leaves your home. Plus, the iron, sprayed nickel and titanium finish gives this cleaner a modern, stylish look. 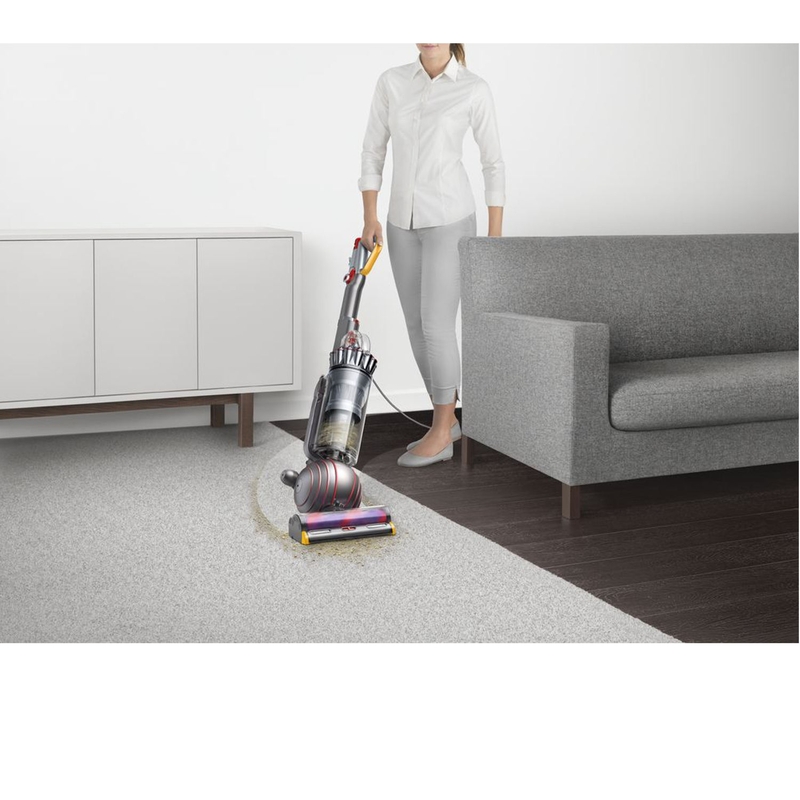 You’ll also discover Epicyclic Drive technology, which cleans deep into carpets and seals in suction on hard floors – never again will you leave behind any dirt, dander or dust. The Radial Root Cyclone technology even captures the smallest of microscopic allergens. And, with a cable length of over 10 metres, you can move around your furniture freely. Need to remove embedded hair from upholstery? Then make the most of the Tangle Free turbine tool. Or, to reach under low furniture, try the slim Carbon Fibre tool. 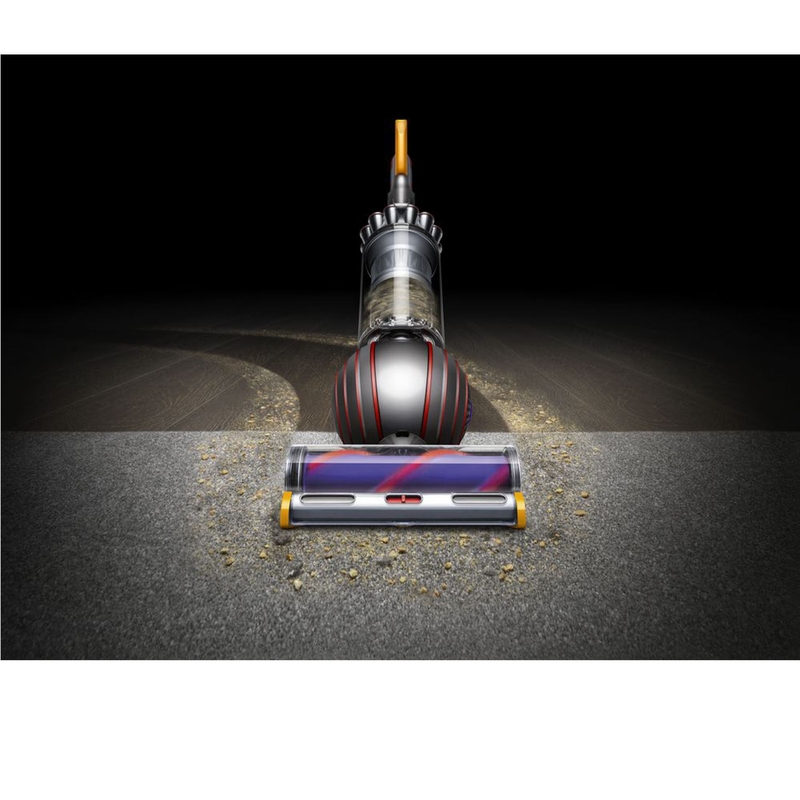 This Dyson vacuum cleaner can also cover a whole range of floor types, including carpet, tile, laminate and parquet. In fact, no other model can clean better across carpets and hard floors. Pick from three different modes with the variable suction control to tackle a range of tasks. Dyson’s BALLANIMAL2+ couldn’t be easier to use. There’s an articulated wand handle, which allows you to pivot and rotate the cleaner a whole 360 degrees. You can also steer easily around furniture, thanks to the Ball technology. 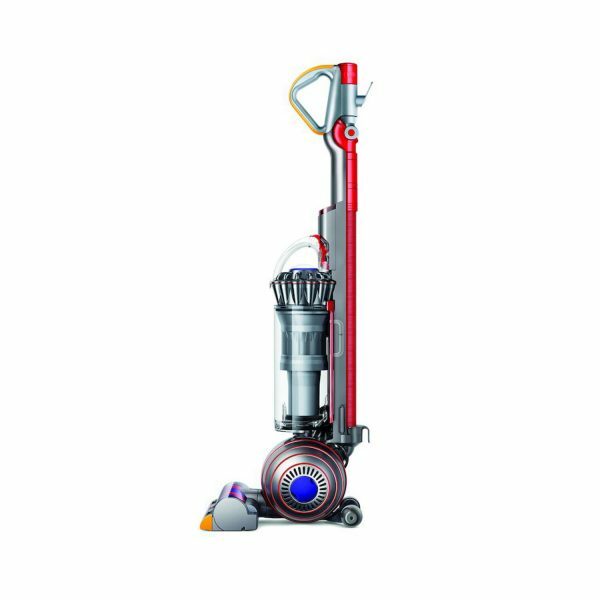 And, say goodbye to manoeuvring bulky cleaners around your home, as this model weighs just 7.34 kg. You’ll even find a washable filter, which makes cleaner maintenance as simple as possible. There’s also a larger bin capacity and hose length, so you can clean your home with fewer interruptions. 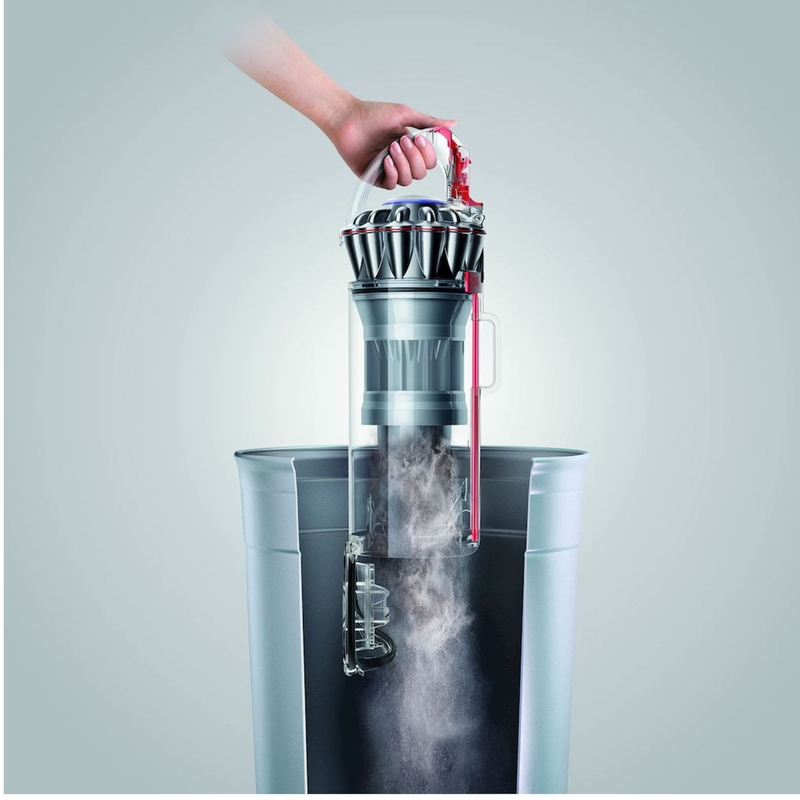 Choose this Dyson bagless upright cleaner and fall in love with vacuuming again. Designed for ultimate versatility, you’ll be able to clean all of those hard-to-reach places. Get yours now.